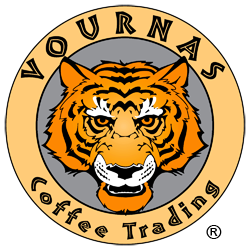 Our Swiss Water Process Decaf Fair Trade Organic Papua New Guinea Purosa is a Vournas Coffee Trading exclusive, one that flew under the radar for awhile until a bunch of our roasters discovered its beauty. It is grown in the Eastern Highlands, specifically Ivangoi, Purosa and Okapa valleys by over 3,000 farmers and certified as FTO through the Highland Organic Agricultural Cooperative. A majority of the farmers grow their varietals in small gardens within their tribal villages, which have for centuries largely kept intact their individual languages and customs. 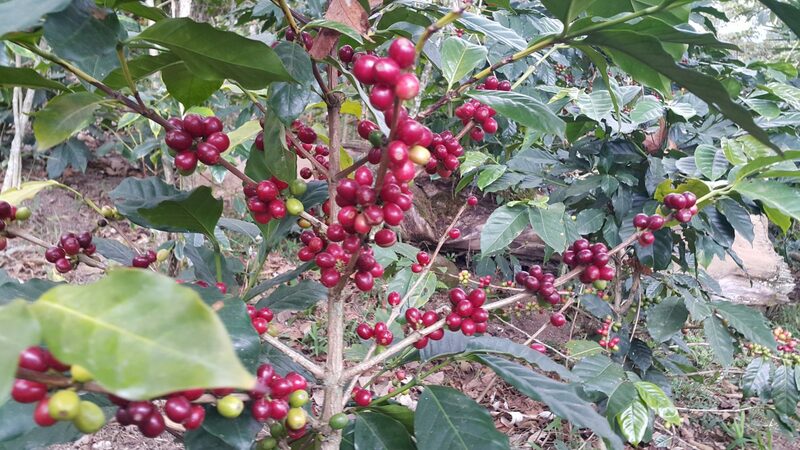 Some of the trees which produce our Decaf Fair Trade Organic Papua New Guinea are 25+ years old, producing less fruited cherries, but also a higher sugar content than younger crops, which of course translates to a sweeter and more complex cup. The Papua New Guinea lot is pulped and dried in parchment then loaded on trucks to make the muddy trek down dirt roads to Goroka where it is milled, graded and bagged. Exporting is done through the Port of Lae, which is the country’s largest and busiest port. After receiving the coffee in the U.S., we send it to be decaffeinated at the Swiss Water facility in Vancouver. The Swiss Water Process is a patented, eco-friendly, chemical-free process that removes 99.9% of the caffeine from a lot of green coffee. Each lot of decaf is immersed in clean water to extract the caffeine through osmosis and passed through activated carbon-charcoal to remove the caffeine molecules. Compared to our Sumatra Mandheling Decaf, this Decaf Fair Trade Organic Papua New Guinea is much cleaner with a slightly more acidic profile. Some of our roasters prefer the earthier, less-acidic Sumatran cup, but ultimately it all comes down to personal preference. Both are fantastic choices for a decaf! Decaffeinated coffees are notoriously difficult to roast due to their unique cell structure, composition and moisture content as a result of the decaf process. Roasters should be mindful of drum temperatures as decafs have the tendency to develop significantly faster than non-decaf coffees; this should always be taken into consideration when roasting decaf coffees like this Decaf Fair Trade Organic Papua New Guinea, as well as our other specialty green decaf offerings. 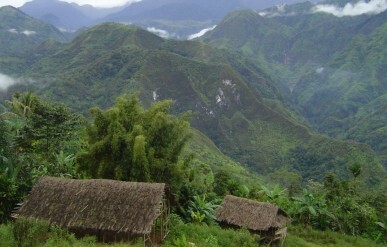 Coffee was first introduced to Papua New Guinea in the early part of the 20th Century; a rather late arrival when compared to neighboring islands. Coffee is deeply embedded within the cultural fabric of Papua New Guinea, where the coffee tree itself is often referred to as the money tree, and coffee beans act as a de facto currency, typically traded amongst the people as a staple commodity in exchange for virtually anything. Incredibly Papua New Guinea farms can accommodate two crop cycles per year due to its famously mineral-rich, volcanic topsoil and jungle climate. We have traveled the world over in our search for amazing coffee and it is our opinion that the farms in Papua New Guinea have the best soil, climate and overall growing conditions that we have ever seen; if the seeds are in the ground, they’ll grow! Somehow Papua New Guinea coffees have flown under the radar of American specialty coffee purveyors, although we suspect this will not be the case for much longer. Cupping Notes: Cane sugar sweetness, medium acidity and creamy body with savory caramel and slight chocolate overtones.